To create the best e-learning resource possible, we’ve designed a survey for African journalists about their most pressing training needs. The online survey takes about 5 minutes to complete. 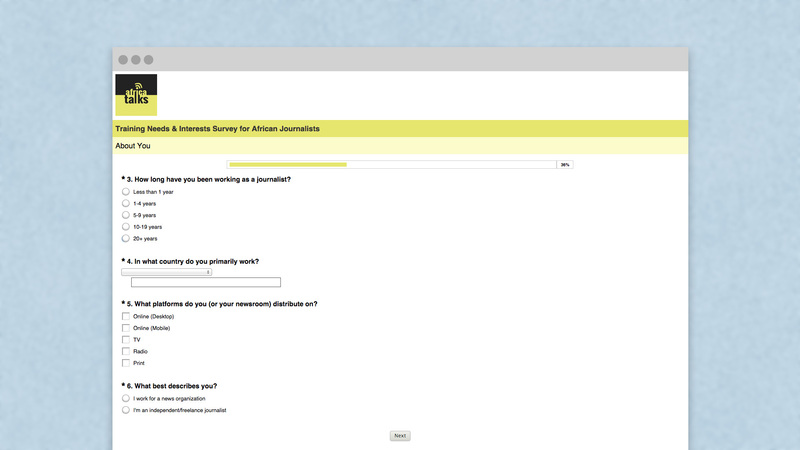 If you’re a journalist working in Africa, we hope you’ll take a few moments to share your thoughts. Your input is greatly appreciated and will be vital to the design of Africa Talks E-Learning. The survey is part of research we’re conducting at the University of South Florida St. Petersburg. We’ve also developed a French version of the survey.